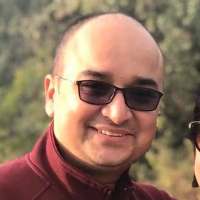 Himanshu Chauhan did Bachelors in Engineering (Electronics & Communication) and post that he did MBA in General Management from FMS and then Ph D in Brand Management. He worked as an Assistant Manager at Export Credit Guarantee Corporation of India Ltd for 6 years. In 2016, he founded Kobybo which is a Digital Learning Platform. A startup is an entrepreneurial venture which is typically a newly emerged, fast-growing business that aims to meet a marketplace need by developing a viable business model around an innovative product, service, process or a platform. "I did Bachelors in Engineering (Electronics & Communication). Post that, I did MBA in General Management from FMS and Ph D in Brand Management. I worked as an Assistant Manager at Export Credit Guarantee Corporation of India Ltd. I worked in the field of Marketing for 6 years before quitting my job. I founded Kobybo in 2016 which is a Digital Learning Platform." in: Export Credit Guarantee Corporation of India Ltd.
"I did Bachelors in Engineering (Electronics & Communication). Post that, I did MBA in General Management from FMS and Ph D in Brand Management. I worked as an Assistant Manager at Export Credit Guarantee Corporation of India Ltd. I worked in the field of Marketing for 6 years before quitting my job. I founded Kobybo a Digital Learning Platform in 2016."